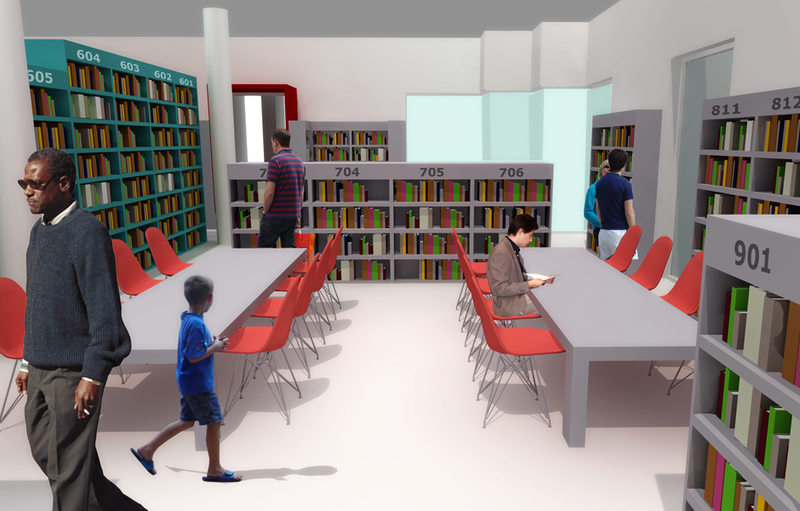 Status: Phase #1 completed, see site photo. 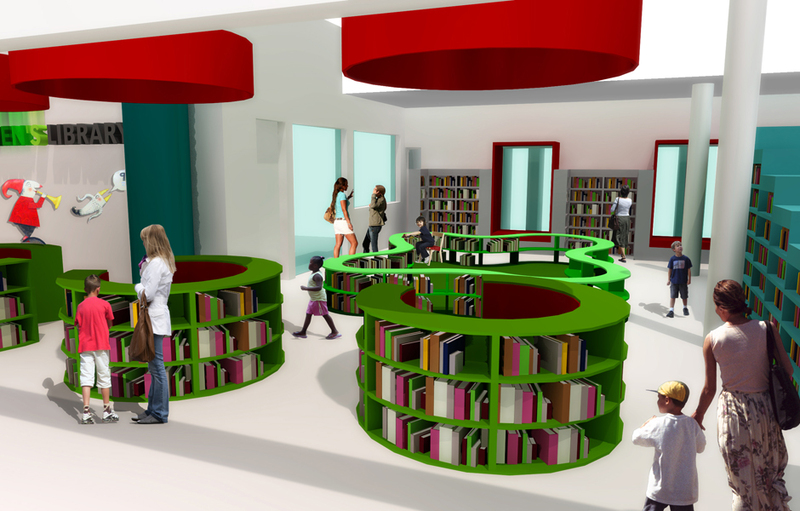 A library is a place of knowledge. 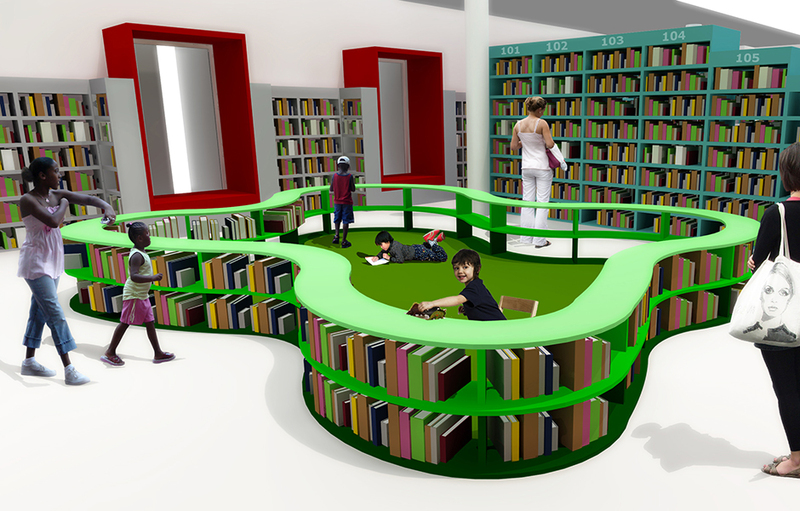 It can also be a place that celebrates the joy of reading. 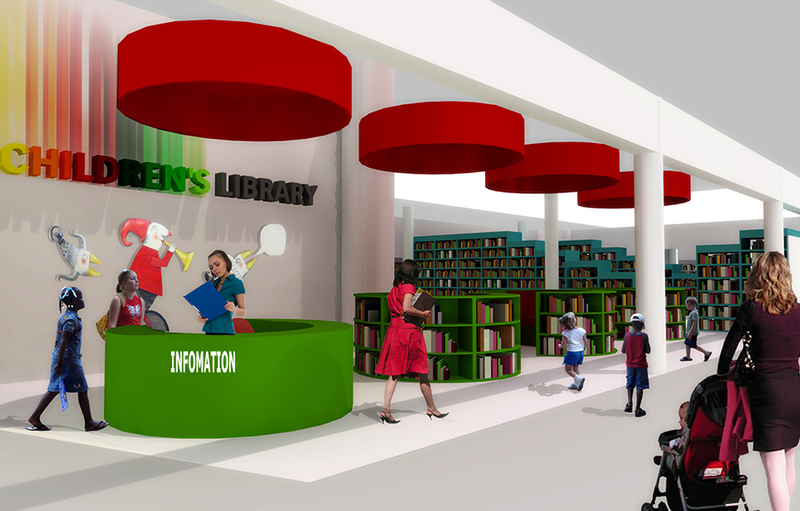 The design proposal for the Bellville Children’s Library focuses on creating a balance between spaces for books and spaces for reading. 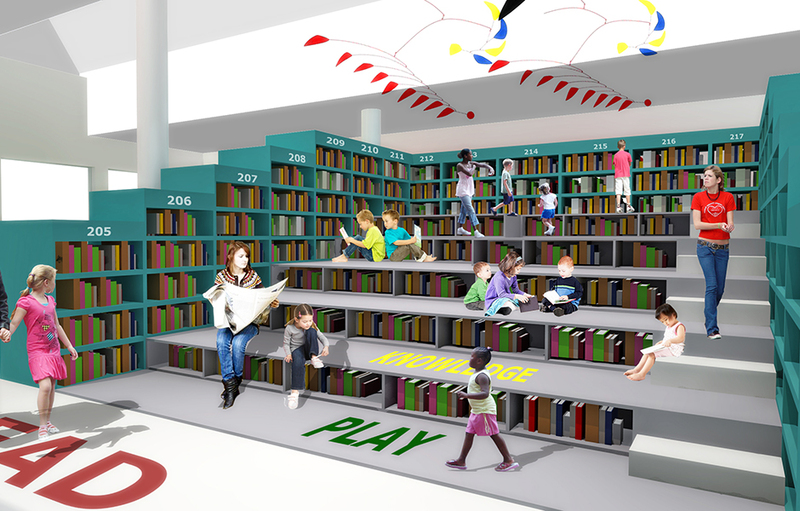 The library is divided into three zones to highlight the different age groups that use the space: toddlers, teens, and those in between. 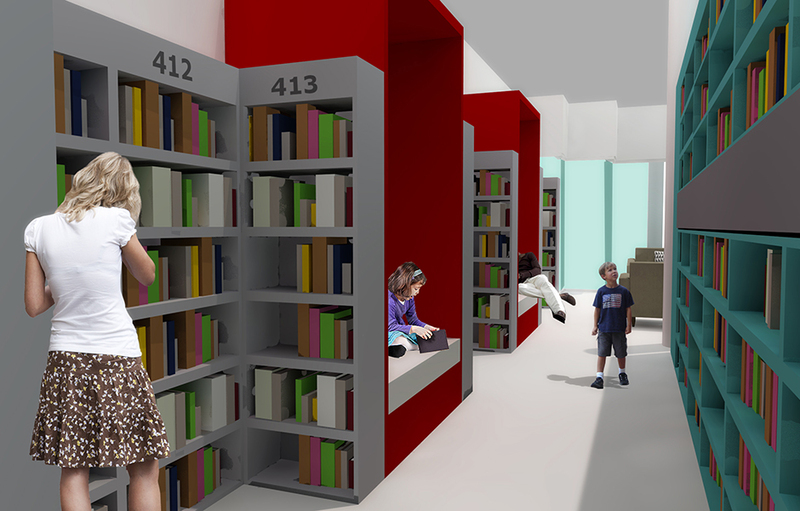 Library visitors can choose from age-appropriate reading spaces, ranging from private window booths, public stepped seating, to an informal lounge area and formal reading tables.